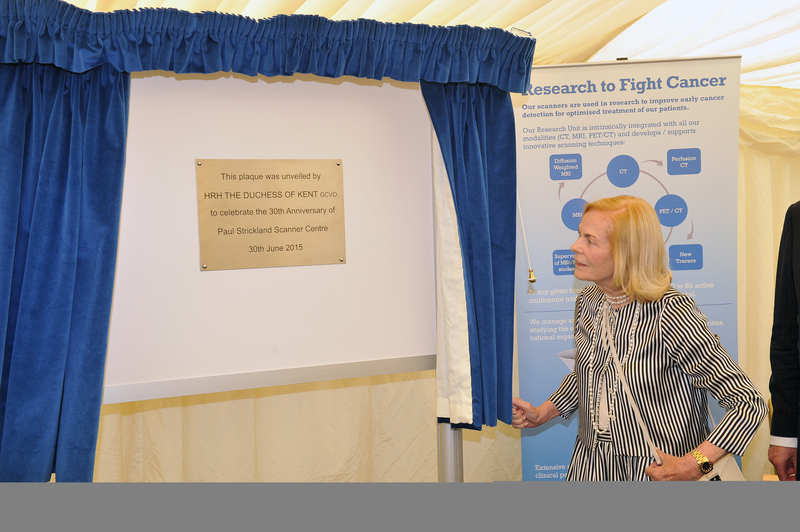 A rare visit by HRH The Duchess of Kent made the 30th Anniversary celebration extra-special for patients and staff of Paul Strickland Scanner Centre. A local charity with its mission to provide vital, state-of-the-art scanning for the early diagnosis, monitoring and research of cancer and other life-limiting diseases, the Centre is based on the Mount Vernon Hospital site in Northwood. Established by Dr Paul Strickland in 1985, the Centre marked this milestone with the launch of an Appeal to raise funds for a new CT scanner. 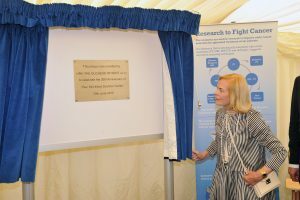 During her welcome to guests, Claire Strickland, Chief Executive and daughter of the Centre’s founder, explained, “We do not receive any direct government funding, so we rely entirely on donations to fund our scanner replacement programme”. Ms Strickland continued “We have fantastic local support, however high-level scanners cost upwards of £1 million. This is why we desperately need continued support if we are to carry on giving our patients the very best diagnostic facilities. My father was incredibly proud of the Centre and its achievements and I can think of no better tribute to his work than to mark our 30th anniversary by funding a new CT scanner”. Centre staff were joined on the day by supporters, sponsors, and special guests including the Mayor and Mayoress of Hillingdon, Cllrs George and Judith Cooper, our local Patron Wing Commander Edna Partridge and Bruce Houlder, Representative Deputy Lieutenant for the London Borough of Hillingdon. Paul Strickland Scanner Centre is an independent medical charity based at the Mount Vernon Hospital in Northwood, Greater London. The Centre’s founder and Honorary Life President, Dr Paul Strickland OBE MB BS FRCR FRCP, was convinced that early scanning could save the lives of patients with cancer and other serious diseases. He captured the imagination of the public and sufficient money was raised to obtain a CT scanner and an MRI scanner and the building to house them and in 1985 the Paul Strickland Scanner Centre opened its doors. On average the Centre carries out more than 14,000 scans a year. These scans provide clinicians with vital information which helps influence and monitor effectiveness of treatment. In its 30 year history the charity has carried out more than 250,000 scans.